This section takes an in-depth look at why practitioners in the CLD sector should engage and contribute to communities of practice. The idea that we learn with experienced others who are pursuing a similar purpose to our own easily resonates with most practitioners’ experience of their professional development. An activity which encourages you to explore the possibilities for CPD afforded by online discussion forums. A CLD Worker talks about Communities of Practice in her various community roles. Neil Saddington is a CLD worker with the Literacies for Employability Project, operating in the South West and West of Edinburgh. He was involved in the creation of ELFONLINE - an on line community of practice aimed at all literacy and numeracy practitioners. This professional development opportunity relates to the ‘knowledge and understanding’ CLD competence and addresses practitioners’ need to know the impact poverty has on the individuals and communities within which they are working. It also provides an understanding of the contribution adult education can make in combating poverty. The Curriculum for Excellence (CfE): Our Part to Play, is a three-part CLD, CPD joint training event run by Fife, Angus, Dundee City and Perth & Kinross Council. 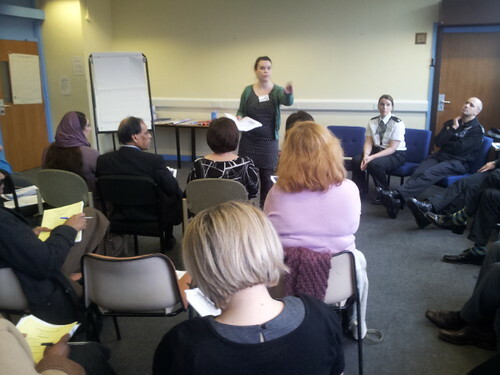 The first event enabled CLD practitioners to consider some of the basics of CfE and hear about practice examples. The second event enabled practitioners to consider the skills agenda and to explore the CfE experiences and outcomes and how these can be applied to practice. The final event focussed on assessment and achievement. The Community-led Health for All learning resource, which has been produced by the Scottish Community Development Centre (SCDC), outlines the competences that are necessary to promote and support community-led health approaches and enable them to affect significant change in health inequalities.